Why would you take a toddler to a museum? Isn't that a recipe for disaster? Well, yes and no. It depends on your child and of course you know them best! Baby T is hands on and he loves to touch everything he sees, so our recent trip to the Isabella Stewart Gardener Museum was a revelation for me because [gasp!] when he was close to me in a baby carrier he was perfectly content with pointing to things and not asking to touch anything. Sure you may be planning to stop at the museum cafe later, but kids don't care about later. When they need to eat, they need to eat. This is easy with an infant who can happily nurse in a carrier, the snack is always on hand. With toddlers, bring a few very clean, no-mess snacks - just don't give it to them or they'll find a way to make a mess. Most museums have a no-food policy in the gallery, so if you need to quiet a toddler, put a bite size piece straight in their mouth and no one gets hurt. My choices are dry cranberries, veggie chips, cheese cubes, or just some cubed sprouted bread. While we brought a stroller and I suggest having one with you to haul all the baby belongings, consider bringing a baby carrier for anyone two and under. It's amazing how quiet and content babies are in a carrier. This will extend the viewing time you have, and if your kid doesn't weigh too much yet, great for a nap too. Otherwise a stroller is great for a toddler nap. We love our Ergo carrier or the compact BobaAir. This is the perfect time to engage with your children, your phone should usually be off at a museum anyway. They will be a lot more content when they have your full attention and you can whisper to them about what they are seeing, they are so curious. Baby T loved pointing to every object and listening to me telling him what it is. Baby E is at the perfect age for trips like this, and I don't want her to miss out just because her brother is little. As homeschoolers, cultural trips like this are important to us - even if it isn't something we will not do every week. I'm telling you, babies feel you with a sixth sense. If you're nervous about something going wrong, it most likely will. That's why I like to go places with the kids and grandma! Like me, she is pretty laid back and very flexible. "Don't worry, be happy" is the only way to visit a museum with kids! Of course, if you know your kids are the type that will set the alarms off, maybe you should stick to the children's museum. Before you go, make sure you know everything regarding parking, admission policies, and general rules. Research nearby eateries because museum cafes are often very overpriced, or bring your own food. Charge your camera, but find out the museum's photo policies. Check the special events/exhibitions schedule, there may be something you don't want to miss, or a big event you would want to avoid in terms of traffic and crowds. Signing up for the museum newsletter will keep you in the loop for things like free or discounted admission nights! After the galleries we went to the museum cafe. While the food was superb, it was so overpriced - typical for Boston. Thankfully they brought freshly baked bread when we got there, that kept toddler Baby T content for a long time. We also just happened to be there when there was a concert, which was a perfect finale since my kids are music obsessed, they didn't take their eyes off the performers. 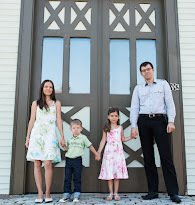 We took some photos when it all ended in the beautiful Calderwood Hall. 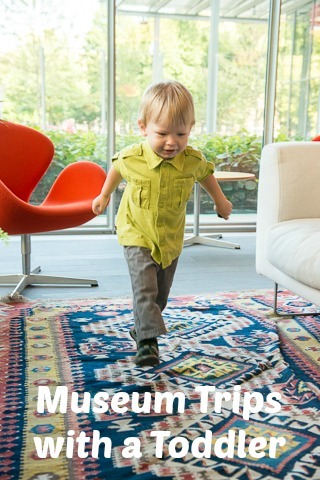 Have you been to the museum with your toddler? What are your tips? Молодец...все хорошо расписала...а для меня еще и приятные воспоминания..
:) Thanks for the comment and thank you for the special day at the museum! It's always fun with you! These are great tips! I love the idea of "clean" snacks and allowing them to eat when they are hungry. I know I get cranky when I'm hungry!